Among all the villages of the Costa Brava, Cadaquès is certainly the most charming with its church, its white houses facing the sea, small alleys, fishing boats & its unique light. The village is not easy to join but the reward is waiting for you. 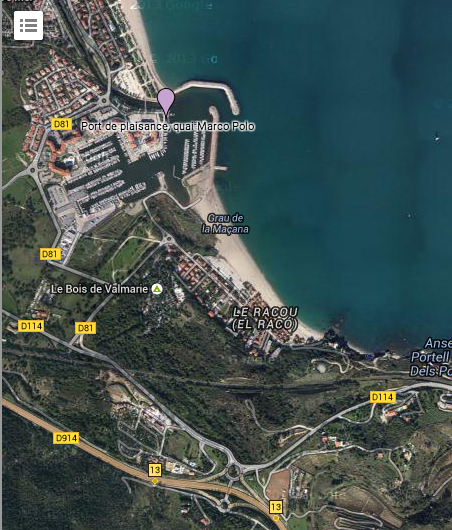 You take the boat on the Marco Polo Wharf at Port Argeles which is located 2 kms from the hotel (see map below). You should park your car easily nearby. 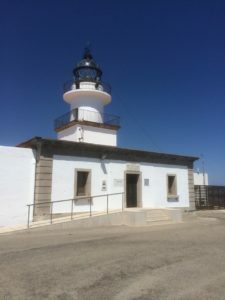 The boat’s departure is at 9:10 am, returning at 6:25 p.m.
You will spend about 4 hours in Cadaques (from about 11:30 to 3:30 p.m.) and will enjoy in both directions a splendid view on the Vermilion Coast and the Cap de Creus. 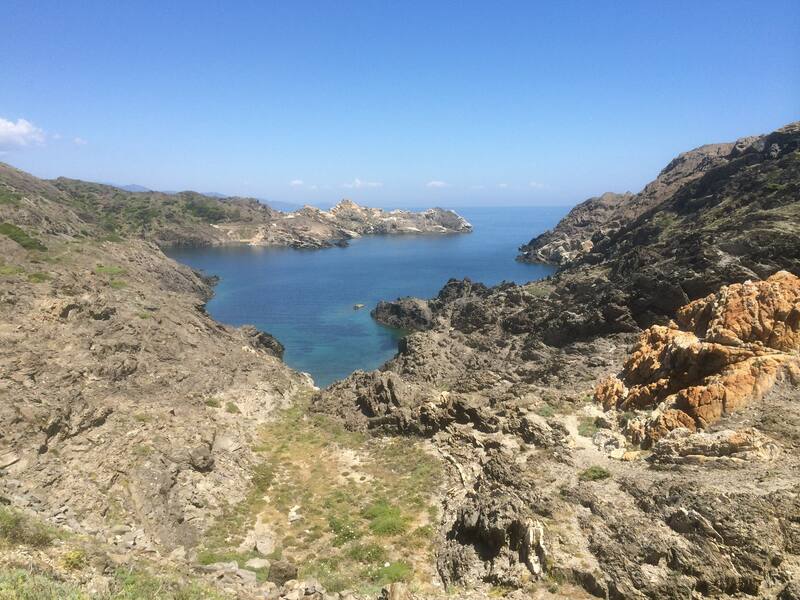 It takes longer to return because the boat is exploring the coves of Cap de Creus. 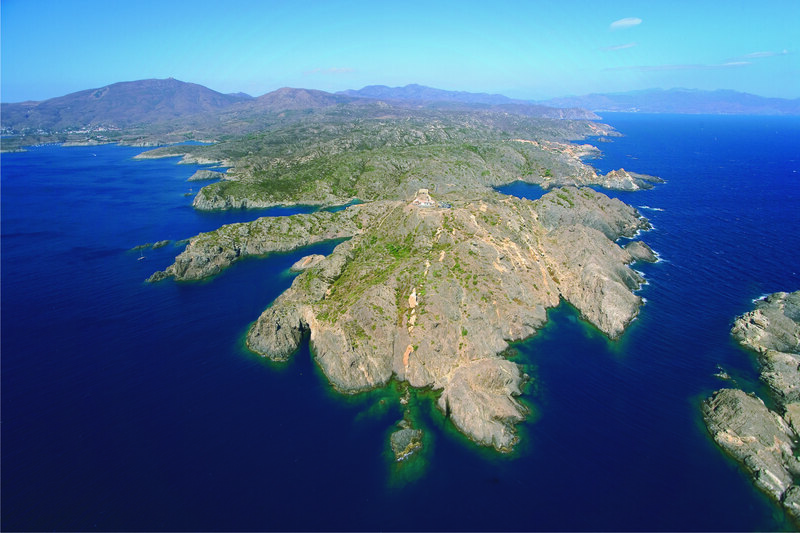 On the way, we invite you to join Cadaques by the coast. The road is beautiful but curvy and tiring. 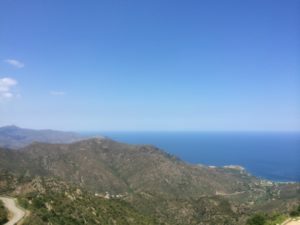 It takes about 1h20 to get to Cadaques. When you arrive at Cadaqués, we recommend you to park at the entrance of the village. You can then walk quietly in the narrow streets. 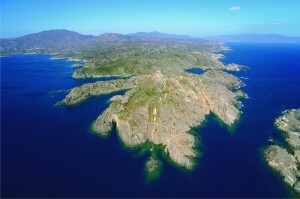 You will find lots of information on the website of the Tourist Office of Cadaques. 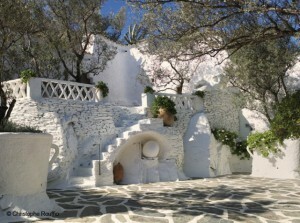 After your walk, we invite you to discover the amazing house of Salvador Dalí in Portlligat located 2 kms from Cadaques. Attention, it is not possible to visit this “house museum” without booking online before your arrival. This house is a combination of several old fishermen’s houses & you will dive into his surreal world. Dalí lived there during 52 years from 1930 to 1982 when his wife Gala died. 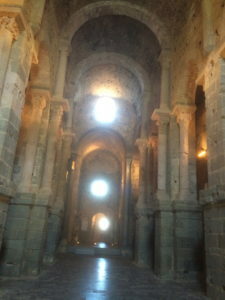 From 1982 to 1989, he lived in the Púbol Castle. 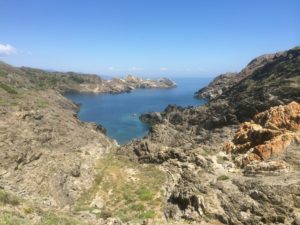 We invite you then reach the lighthouse of Cap de Creus at 3 kms, allowing you to discover a succession of beautiful coves. You should not resist a swim. 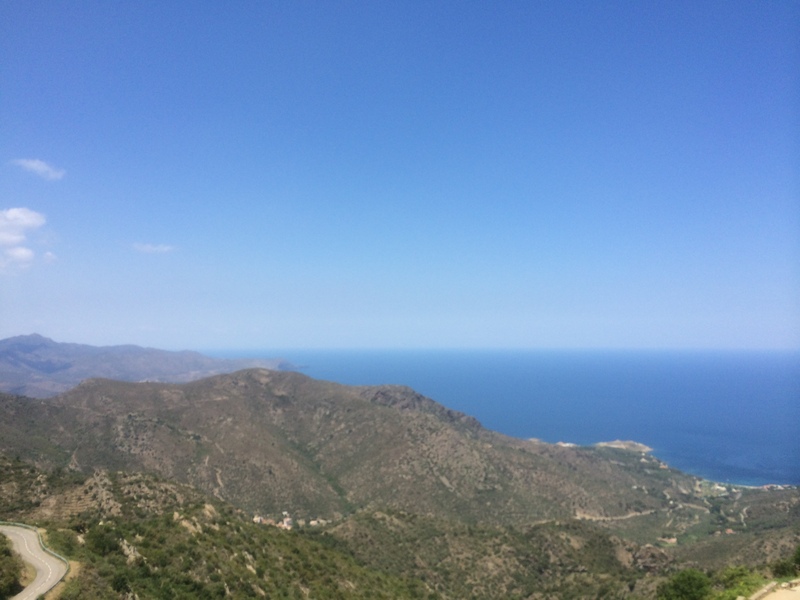 To return, we invite you to take the road of Figueres (IM 614) then go for the E15 until Le Boulou. 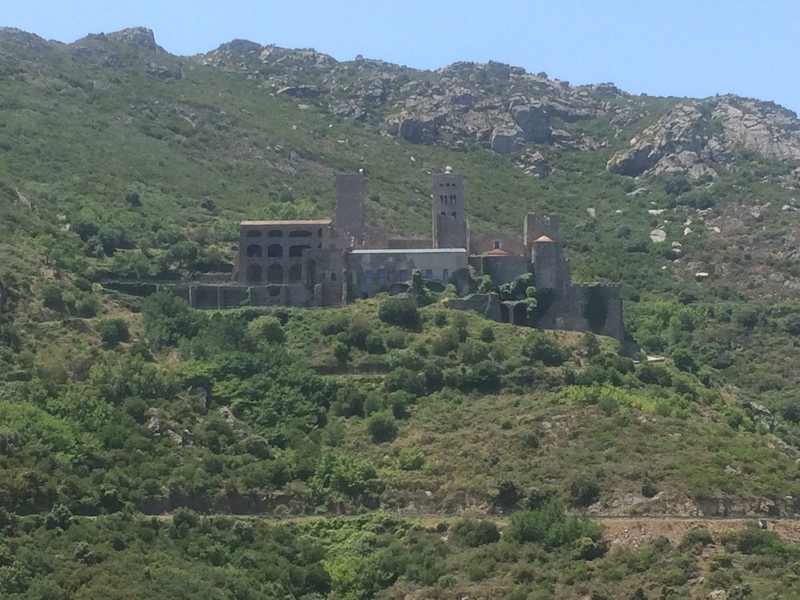 You can then follow the D618 to reach Argelès-sur-Mer. The journey duration is the same (1:20) but the road is less tiring. 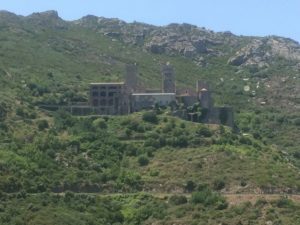 On the way, we invite you to discover the San Pere de Rodes Monastery. 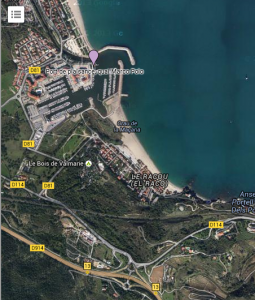 It takes 20 minutes from Port de la Selva to reach (10 minutes by car and 10 minutes walk on a paved road). This monastery is a beautiful. Just look at the 3 photos below.